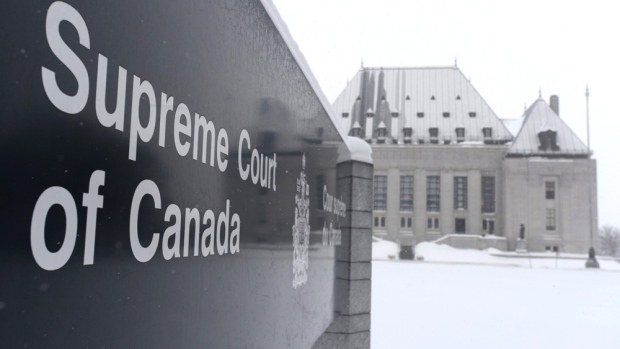 OTTAWA -- The Supreme Court of Canada says it will hear a case over whether an internet service provider can charge a fee for revealing information about a suspected movie pirate to film producers seeking to crack down on people who share copyrighted material illegally. Rogers Communications Inc. has assembled the identifying information sought by a group of movie producers who want a name to use in filing a lawsuit. Rogers wants to charge $100 an hour plus GST for digging up the information. The Federal Court said OK, but the producers appealed, saying there are tens of thousands of suspected infringers and the fee could be a multimillion-dollar barrier to their efforts. The Federal Court of Appeal, agreed, siding with the producers. As usual, the Supreme Court gave no reasons for deciding to hear the case. Justice David Stratas, writing for the appeal court, said the Copyright Act, which applies in this case, allows copyright owners to seek information about alleged pirates from internet service providers. "The overall aim, then, is to ensure that in the age of the internet, the balance between legitimate access to works and a just reward for creators is maintained," he wrote. "The internet must not become a collection of safe houses from which pirates, with impunity, can pilfer the products of others' dedication, creativity and industry." He said internet providers can charge reasonable costs for disclosing information in cases like this, but added that the actual costs are likely to be negligible.